When will be Battle of the Network Stars next episode air date? Is Battle of the Network Stars renewed or cancelled? Where to countdown Battle of the Network Stars air dates? Is Battle of the Network Stars worth watching? The TV Cops team includes Marisol Nichols, Roma Maffia, Adrian Zmed, Fred Dryer and Ryan Paevey; the Sci-Fi Fantasy squad consists of Lou Ferrigno, Vinnie Jones, Charisma Carpenter, Kevin Sorbo and Jill Wagner. Ted Lange; Troy Gentile; Jill Whelan; Denise Richards; Joely Fisher; Lance Bass; Joey Fatone. Famous TV Families (Danny Bonaduce, Barry Williams, Beverley Mitchell, Willie Aames, Charlene Tilton) vs. Doctors (Thomas Calabro,Taye Diggs, Rachelle Lefevre, Deidre Hall, Benjamin Hollingsworth). Troublemakers (Vivica A. 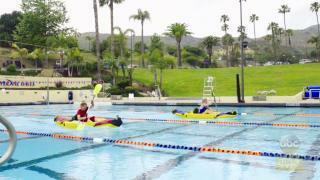 Fox, Paul Johansson, John Barrowman, Julie Benz, Catherine Bach) vs. TV Lifeguards (David Chokachi, Brande Roderick, Parker Stevenson, Nicole Eggert, Gena Lee Nolin). 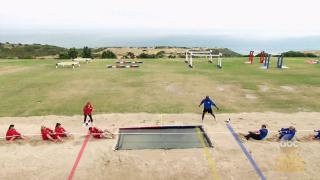 Battle of the Network Stars next episode air date provides TVMaze for you. 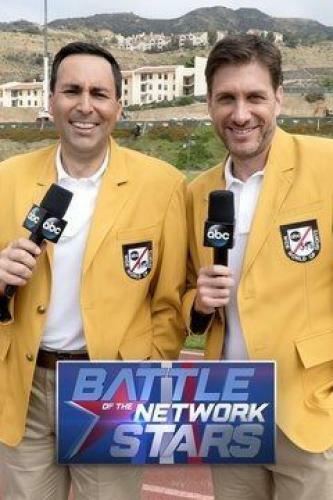 EpisoDate.com is your TV show guide to Countdown Battle of the Network Stars Episode Air Dates and to stay in touch with Battle of the Network Stars next episode Air Date and your others favorite TV Shows. Add the shows you like to a "Watchlist" and let the site take it from there.